The public is invited to view a piece of the world as seen through the eyes of Amy Cogswell—one of the first female landscape architects in the United States, and designer of the Colonial Revival Garden at the Webb-Deane-Stevens (WDS) Museum. On Sunday, June 25, 2017 from noon to 4 p.m., the WDS Colonial Revival Garden will be one of 14 historic gardens highlighted for Connecticut Historic Gardens Day. 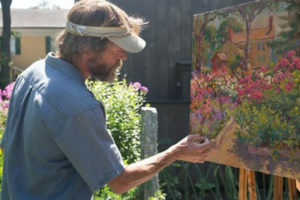 Visitors during the free event will also have the chance to win a framed poster featuring the winning entry by the 2017 Historic Gardens Day Poster Art Contest, Connecticut artist Leif Nilsson. 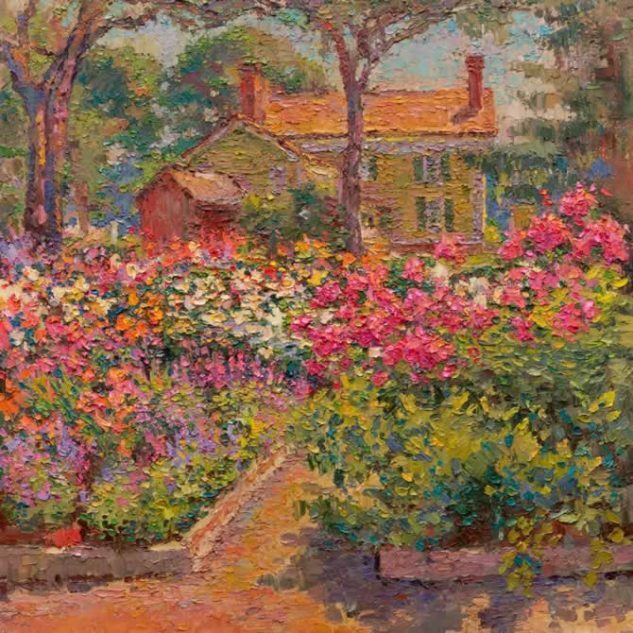 In celebration of Connecticut Historic Gardens Day, WDS garden guides will give free tours of the garden, show copies of Cogswell’s original garden plans, and discuss her vision for the space. There will be a PowerPoint display, “A Year in the Cogswell Garden,” and refreshments will be served. Optional WDS Museum house tours will be offered at a discount for the day. 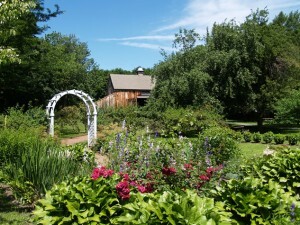 Connecticut’s Historic Gardens raises awareness of distinctive historic sites and gardens within Connecticut’s borders. The group was started in 2002 and has since grown to 15 sites: Bellamy-Ferriday House & Garden, Bethlehem; Butler-McCook House & Garden, Hartford; Florence Griswold Museum, Old Lyme; Glebe House Museum & The Gertrude Jekyll Garden, Woodbury; Harkness Memorial State Park, Waterford; Harriet Beecher Stowe Center, Hartford; Hill-Stead Museum, Farmington; New London County Historical Society & Shaw Mansion, New London; Osborne Homestead Museum & Kellogg Environmental Center, Derby; Promisek at Three Rivers Farm, Bridgewater; Roseland Cottage, Woodstock; Thankful Arnold House Museum, Haddam; Webb-Deane-Stevens Museum, Wethersfield; and Weir Farm National Historic Site, Wilton. For more information about the group, individual participating sites, and events, please visit cthistoricgardens.org.